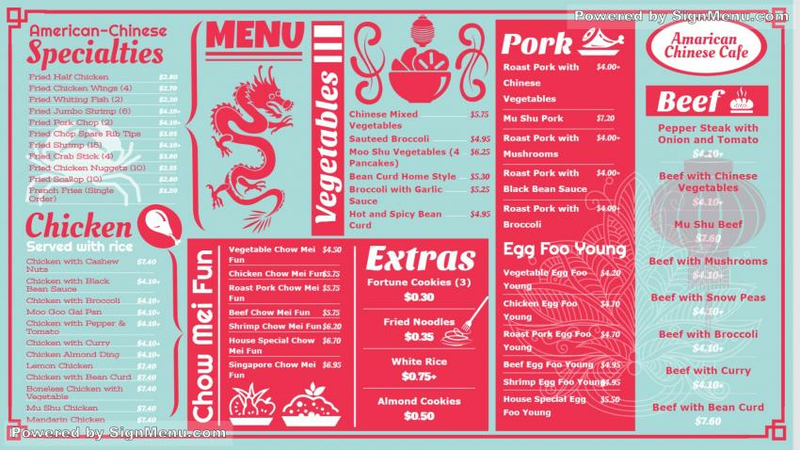 Another classy and sophisticated American Chinese menu board. In this template, a certain shade of blue is brilliantly combined with the brick red color and lends a vintage touch and feel to the board. The graphic of a dragon on top and the red typeface provide a truly unique design. A great one this for a digital scree. Will entice a horde of customers. Exciting times for the restaurant !